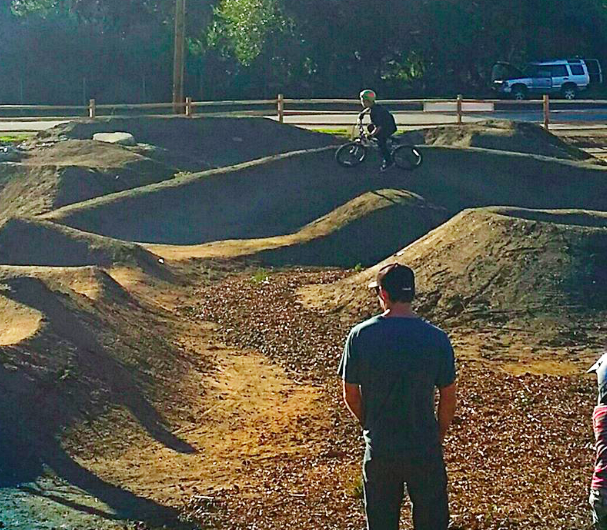 The goal of the Morro Bay Bike Park is to be a safe and sanctioned park for all ages and skill levels to come out and have fun. 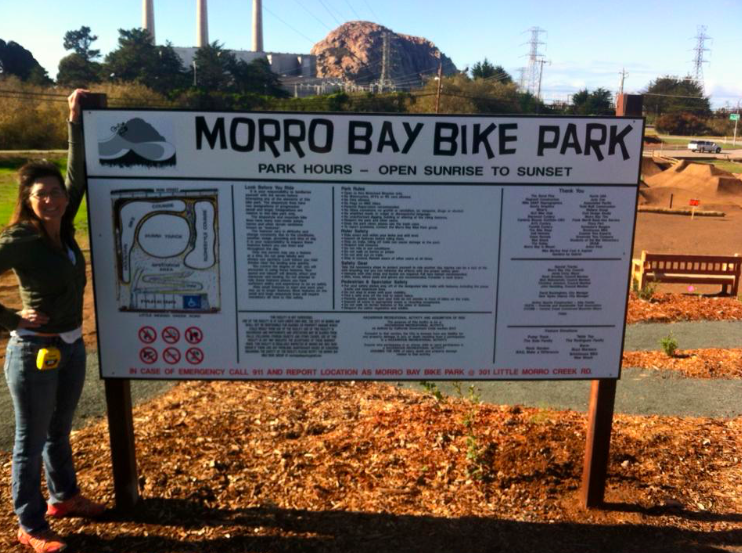 The idea is that the park is to be built and maintained by the riders and volunteers with the City of Morro Bay as the overseer of the park. 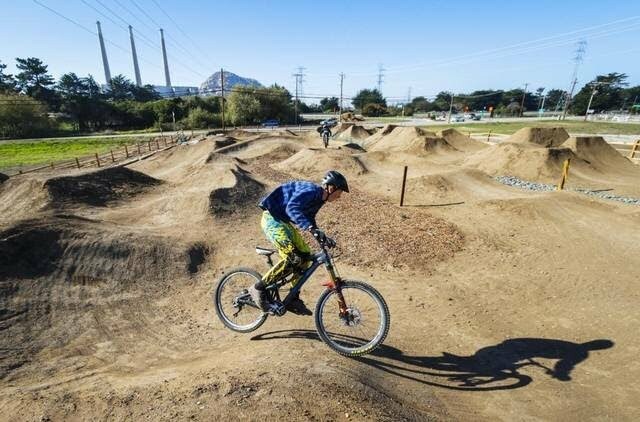 The park would like incorporate aspects of bike riding that include pump track, dirt jumps, mountain bike skills area and any other possibilities. The park will be designed for all ages and skill levels and provide a safe and fun atmosphere for all riders. 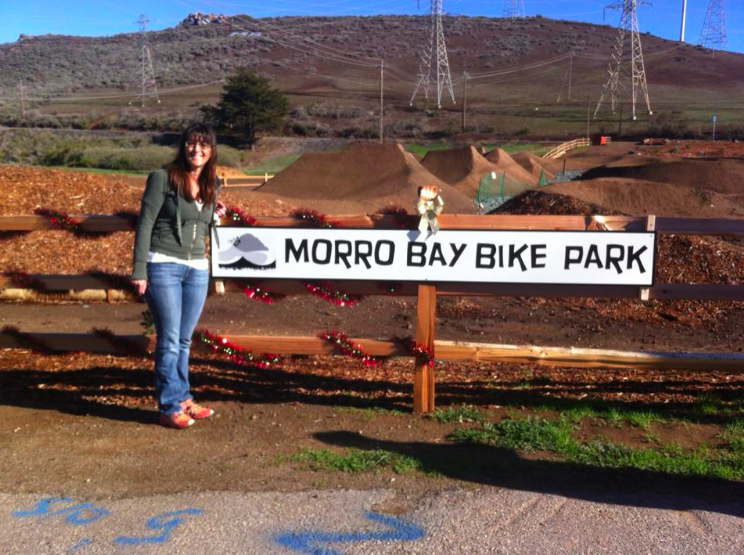 In early February of 2013, the idea for a Morro Bay Bike Park was posted on Facebook and the process began. Ideas were shared and brought to the first City Council Meeting during the Public Comment portion on February 26th. During that first meeting, speakers Alex Kachlakev, Jordon Smith and Emily Gacad, told of the need for this type of recreation venue and how it could be a tourist destination point in Morro Bay. With the support of Scott Milligan, Sam Rodriguez and many others, they were able to get on the agenda of the Recreation and Parks Department on March 21st. With the Rec & Parks commission showing support for the project, a Morro Bay Bike Park Group was formed, and locations were narrowed down. By the middle of April, 2013, an established biking group was needed so that an MOU (Memorandum of Understanding) could be signed with the City of Morro Bay and the permit and planning process could begin. That group was CCCMB (Central Coast Concerned Mountain Bikers). After a brief three minute discussion at the City Council meeting, the Bike Park was approved 5-0. The first layout design was completed by Action Sport Construction on Nov. 6th and posted on Facebook for public comment. Soon after, the permit process was begun and supporters were notified that this would be a slow time in the process as the paperwork started to move. The Latest: On Oct. 21st of 2014, representatives from the Morro Bay Bike Group and the City of Morro Bay Parks and Rec Department met with CCCMB for an update of the project. After discussion of how the Bike park would be maintained and supported, an MOU was completed and given to CCCMB for comment before submitting to the City of Morro Bay. We will be having a work day this Saturday. 8th grade students Riley & Cooper will be leading the workday as part of a school leadership project. Please come by and lend a hand and support them! Public is Welcome - Come Join Us! Bring water, snacks and gloves. Donate some plants if you'd like. WHAT: More information about this leadership project is available HERE. BRING: Water, snack food, gloves and sturdy shoes, your favorite work tool (some will be provided) and a passion for work and fun with others in your community. Everyone is welcome! We hope you will join us! Bonnie Johnson - MB Citizen of the Year! Bonnie Johnson was recognized by the Morro Bay Chamber of Commerce at its annual installation dinner and awards ceremony Jan. 20th as Morro Bay Citizen of the Year. With the backing of CCCMB, she led the charge to coordinate the fundraising, planning and construction of the Morro Bay Bike Park and because of her efforts has been named the Chamber of Commerce’s Citizen of the Year for 2016. She spent three years coordinating and permitting the completion of the BMX-style bike park, which opened Dec. 26, 2015. The park covers about a half-acre of city-owned property at Main Street and Radcliff Avenue and is visible from Highway 1 near the Main Street exit. Bonnie also led the effort to raise more than $30,000 so the park could be built by Santa Cruz-based Action Sports Construction, which creates bike parks around the country. "Thank you to all of you that came out to help today. A little work goes a long way. take care of the park." The bike park is still in need of raising the last $8,000 owed. Morro Bay Bike Park fundraiser is tonight at 6:00 at Pizza Port restaurant. We are raffling off a bunch of really great items including a Dirt Jumper Frame, BMX bike, bike tune up certificates, restaurant gift certificates, a tattoo certificate, 1 month membership at SLO op, 1 free admission to a All Out Adventures event in 2016, a window tinting certificate, helmets, e*thirteen wheel set, a 1 month membership to Revamp Crossfit and bunch of other great items. We hope to see you there! 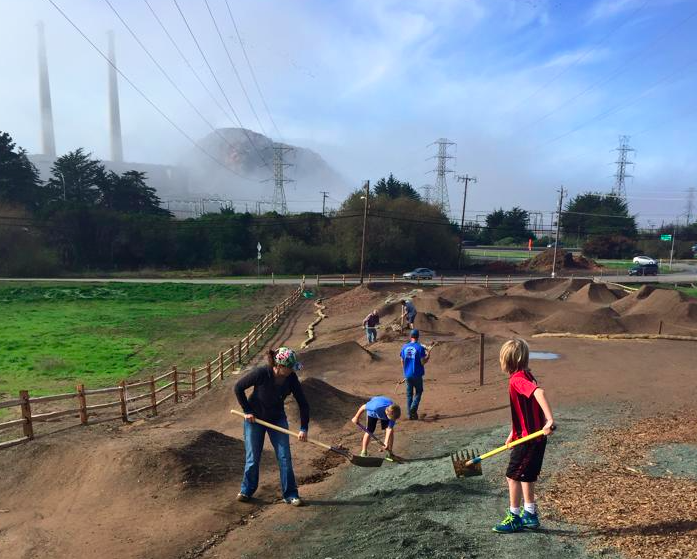 The Morro Bay Bike Park opened Saturday to a large group of riders, anxious to try out the new pump track, jumps and berms. Many people were on hand to witness the ribbon cutting, some local and many from surrounding communities. Despite the many volunteers, the Bike Park is still in need of raising the last $8,000 to complete the final payment to contractors. You can help by donating to the link on the left. We have a chance to finish the fence Friday morning. We only have 15 sections to install. This is one the of the last 3 things needed to get the parkopen. We need people to help out moving dirt to modify one line as well. So, bring your wheel barrow and shovel if you have one, or just bring yourself. We will be starting at 9am. Volunteers, come out and join us! We will be starting at 9:00 on Saturday at the Bike Park and will be working on Landscaping, Fence (with bigger equipment), the ADA Compliant Path, bike racks, viewing benches and some other odds and ends. The biggest job will be spreading mulch so bring a wheel barrow, pitch fork and gloves if you have them. During construction we are City of Morro Bay volunteers so you will need to sign a waiver from the city when you come. Thank you all for all of your help! 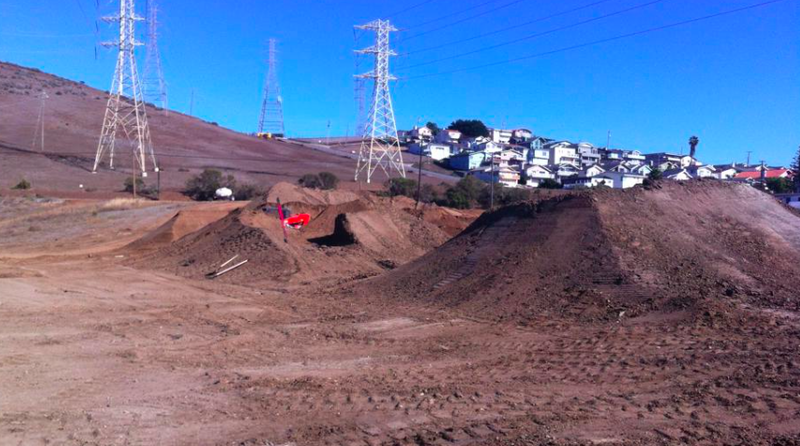 As with all construction projects it is going to cost a little more than projected to build this amazing Bike Park. They still need to raise about $8,000 to cover things like paving the parking lot, building materials for signs and benches, and a few other odds and ends before we can open the Bike Park. If everyone made a small donation we would have the money that is needed. The dozers are moving in! After years of negotiations, permits, agreements and City Council meetings, day 1 of construction has begun at the Morro Bay Bike Park. Bonnie Johnson (pictured), along with many others have put in hundreds of hours in preparation of this day. 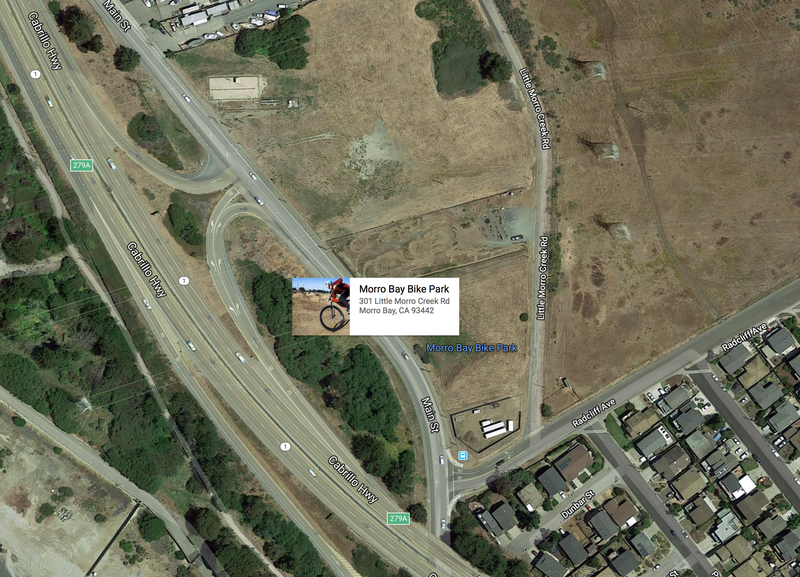 If you get a chance, drop by the bike park site at the corner of Radcliffe St. and Little Morro Creek Rd. 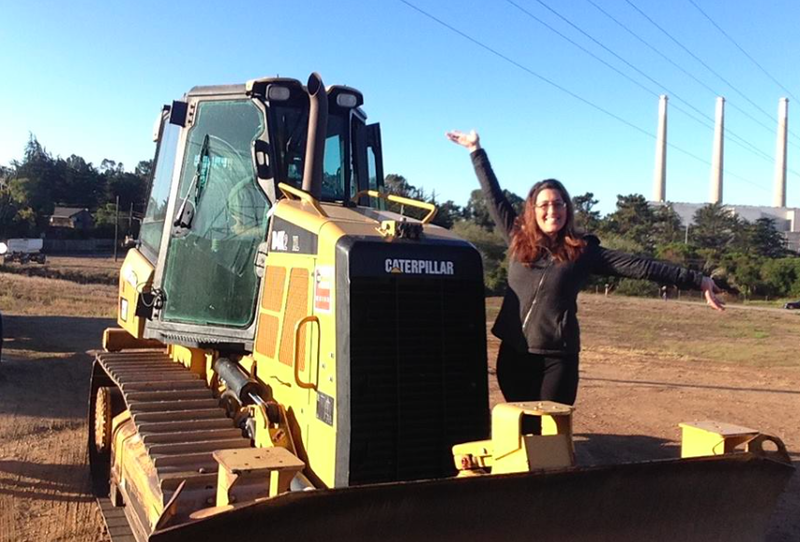 in Morro Bay to watch the bull dozers in action. It's Official, We Did It!!! 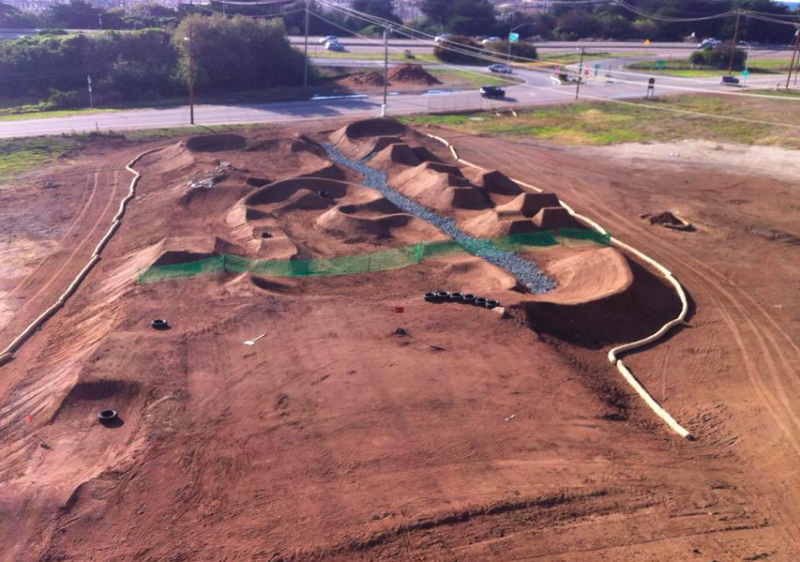 The Morro Bay Bike Park is going to happen! After two years of hard work, many discussions, and multiple meetings with the city, it's now become a reality. Tonight we had our final City Council Meeting and they voted 5-0 to approve the bike park! This means, realistically, we could begin construction in late June or early July. On behalf of the Morrow Bay Bike Park we would like to thank IMBA, CCCMB, FASTA, the City Staff and Morrow Bay City Council, as well as all the bike organizations and individuals out there who supported this project. Congrats Bonnie! You're such a trooper!